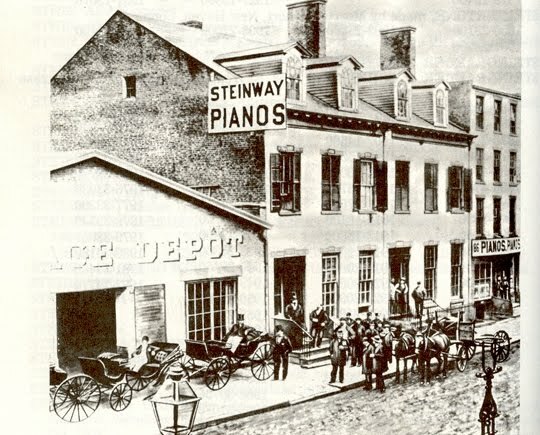 Henry Steinway, a German immigrant who came to New York in 1850, made his name in various showrooms and factories in downtown Manhattan, enticing the wealthy with his award-winning quality pianos. 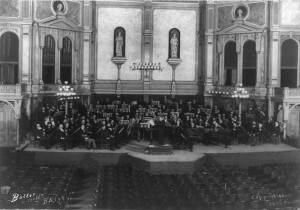 At their grand Steinway Hall on 14th Street, the family turned a popular concert venue into a clever marketing opportunity. 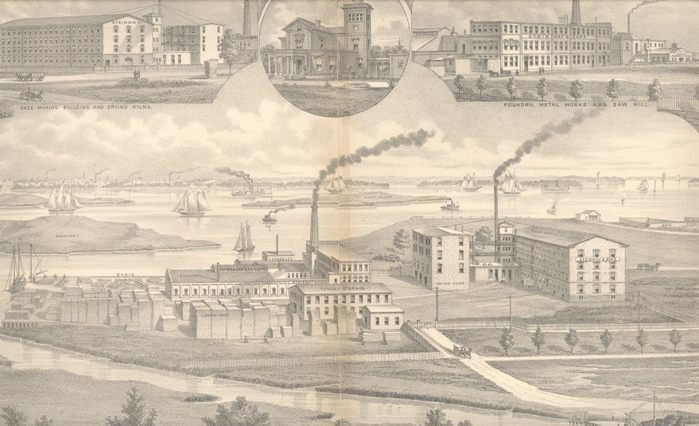 But their ultimate fate would lie outside of Manhattan; the Steinways would graduate from an innovative factory on Park Avenue to their very own company village in Queens, the basis of a neighborhood which still bears their name today. You may not know much about pianos, but you’ve crossed path with this family’s influence in the city. 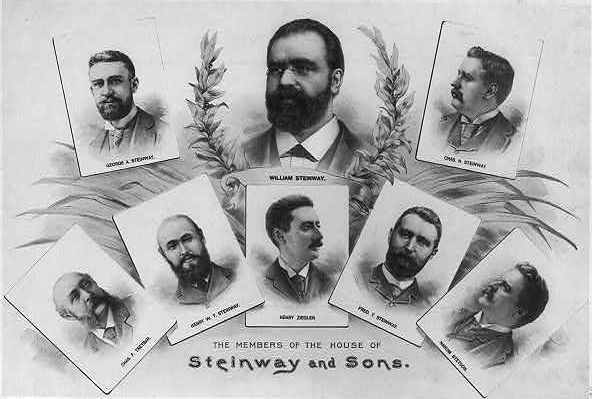 Tune in for this short history of Henry Steinway and his sons. Hello Henry: Heinrich Steinweg made his first piano as a present for his bride. A year later he completed his very first grand piano and began a small manufacturing practice with his sons. 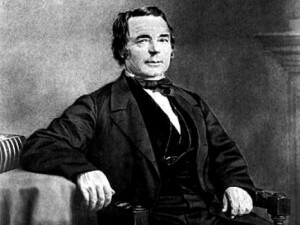 They took the show on the road to New York in 1850. 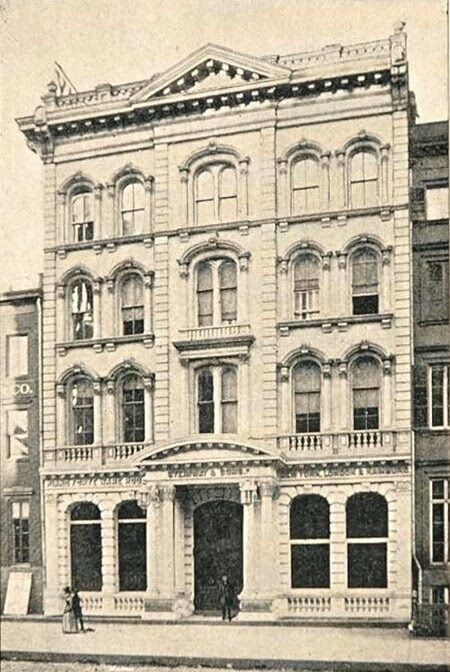 First movement: Within three years of arriving in New York harbor, the Steinways had opened their first workshop on Varick Street, then moved to a larger space on at 82-88 Walker Street (illustrated below). Daughter Doretta Steinway, in her later years. 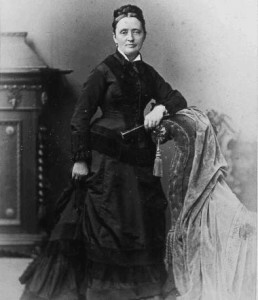 Doretta was key to Steinway’s early success, due to her generous offering of free piano lessons to anyone who purchased an instrument from them. 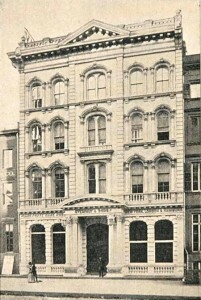 Steinway Hall, built in 1864, was located at 71-73 East 14th Street, right off of fashionable Union Square. 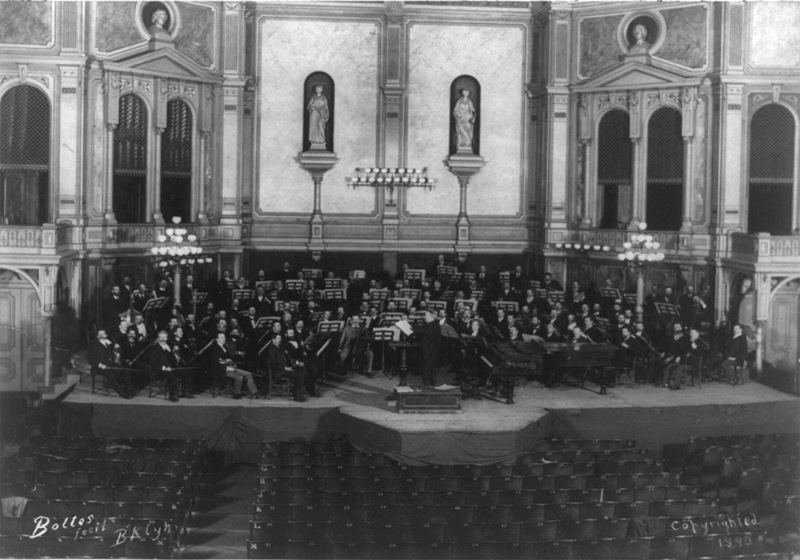 The hall hosted a great variety of functions, not just music performances. 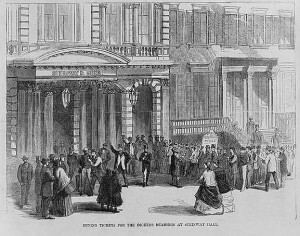 The illustration below depicts the frenzy outside of a Charles Dickens reading. 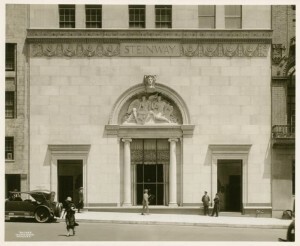 The front of the hall, which also featured a showroom of all the latest Steinway products. 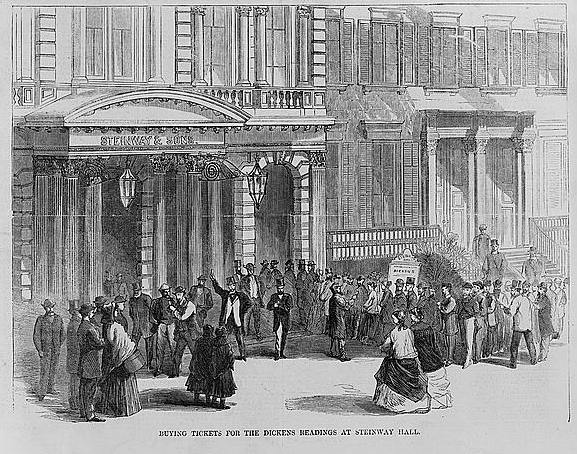 The venue was such a smashing success that other halls opened around the world. The uptown Manhattan factory opened in 1860 at 52nd and 53rd streets and Fourth Avenue — known as Park Avenue today. The new plant could manufacture up to 1,800 pianos a year. Look what stands there now! To illustrate how fast the city was moving uptown, this photo shows the same factory just 30 years later. 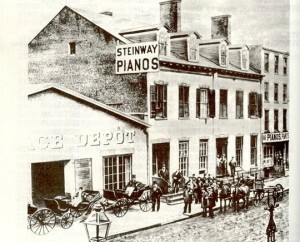 Its dated 1890, although at this time most Steinway operations had moved to their headquarters in Queens. Either they were still doing some work here at this time, or else nobody bothered to rename the building! 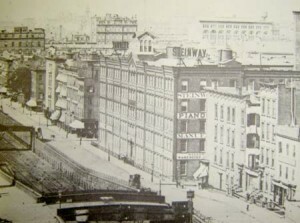 Note the train tracks in front, rolling their way down to the Grand Central Depot. 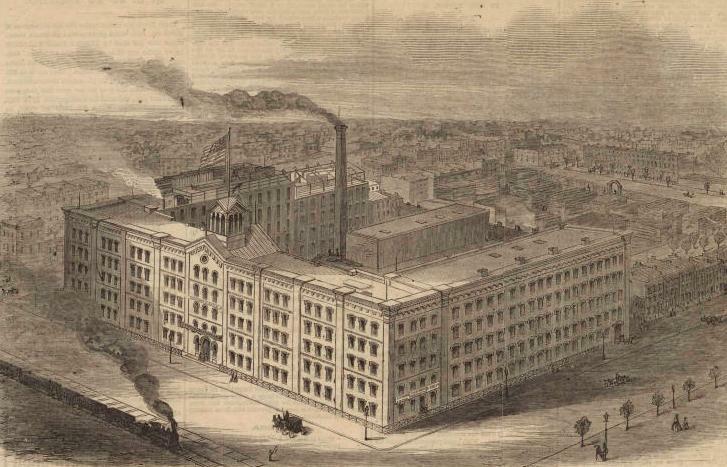 Full house: After Henry’s death in 1871, the Steinway boys would move the company’s operation to Queens. 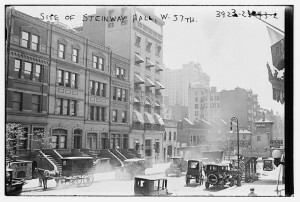 William Steinway would display ambitions far beyond pianos, expanding his pursuits to include public transportation and even automobiles. 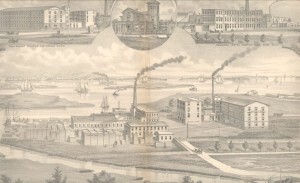 A bucolic illustration of Steinway’s Astoria factory, with river access and company village for their workers. The move allowed the Steinways to expand; it also thwarted labor groups and gave the company more power over its employees. 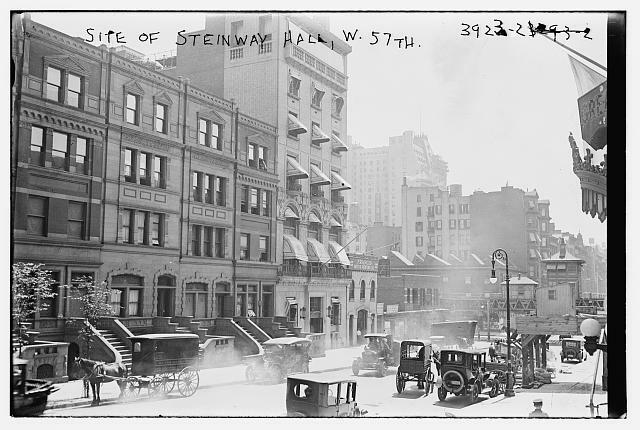 In 1925, Steinway Hall moved uptown to 57th Street, not so terribly far away from their old factory. The sooty, smelly neighborhood had become Park Avenue, and 57th Street was graced with Carnegie Hall. So naturally, the Steinways got out of no-longer-fashionable Union Square and joined the high society ranks accumulating uptown. 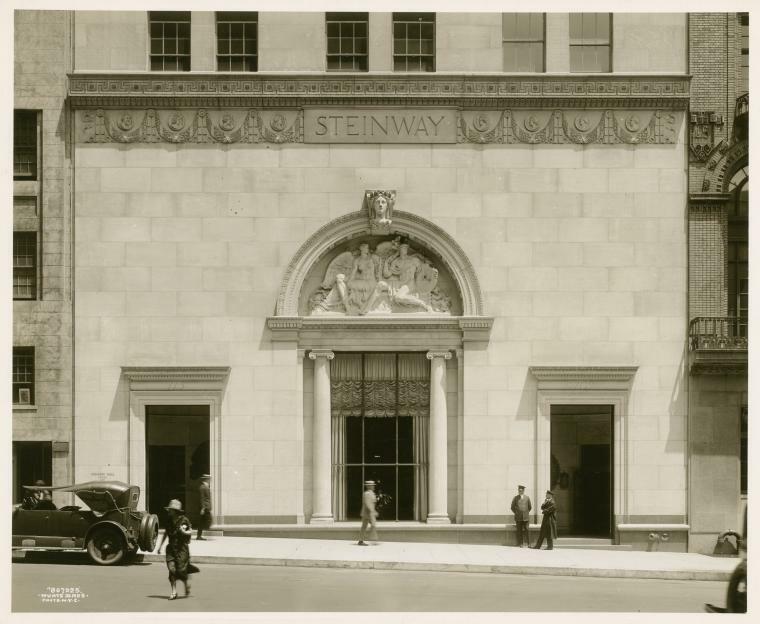 The new hall, designed by Warren and Wetmore, was a far smaller venue but still featured a Steinway piano showroom. You can still stroll through it today and peruse their instruments. 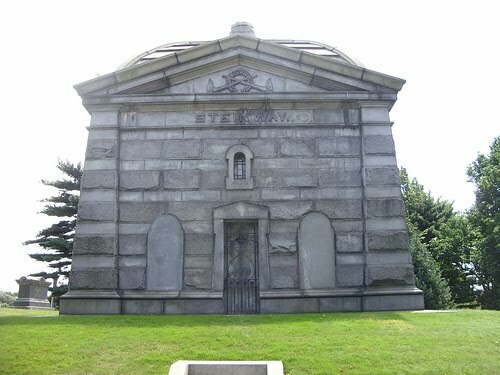 The Steinway vault at Green-Wood Cemetery. I greatly encourage a visit to Green-Wood. And while you’re visiting the Steinway, swing over and say hello to Boss Tweed! He’s buried right nearby. You can actually tour the Steinway Queens plant. You can find information at their official website. And did you know that everytime you take the 7 train between Queens and Manhattan, you travel through something called the Steinway Tunnel?